Spinal decompression surgery is not a single procedure, but rather an umbrella term that refers to a range of procedures that are designed to relieve symptoms associated with compression of the spinal cord or nerve roots within the spine. Surgical options include corpectomy, diskectomy, laminotomy, foraminotomy, or osteophyte removal, and which is best depends on your specific situation. Spinal decompression surgery works to alleviate symptoms of a narrowed spinal canal and spinal nerve openings due to disk issues, ligaments that have loosened over time, thickening joints, or bony growths. Severe cases of spinal compression can lead to paralysis or the loss of bladder or bowel control. When removal of a vertebra and its associated disks is necessary to relieve pressure on the spinal cord or nerves, a corpectomy is the preferred procedure. Your doctor may utilize a combination of different techniques to achieve the desired outcome. In some instances, spinal fusion is also necessary to restore stability to the spine. When a spinal disk is damaged or herniated, a diskectomy may be carried out to remove the damaged material. A herniated disk is often the source of compression on nearby nerves, and a diskectomy is an effective solution for treating the associated pain that often radiates down the extremities. This procedure works to remove a portion of the bony arches within the spine, known as lamina, in order to relieve pressure on the nerves within the spine, and create more space within the vertebral canal. Used to relieve pressure on nerves being compressed by the passages through the vertebrae of the spine, or intervertebral foramina, a framinotomy opens those passages to relieve pain and other symptoms. Also known as bone spurs, osteophytes are hard bumps of extra bone that can put excessive pressure on components within the spine. Osteophytes most often form after an injury to a joint or tendon, when the body thinks that the bone was damaged and compensates by adding more material to the affected area. Removing them may help relieve spinal pain and stiffness. Following spinal decompression surgery, patients typically spend four to five days in the hospital for recovery, depending on the procedure. Rehabilitation will be an intensive process, including a physical therapy program to rebuild strength and mobility. 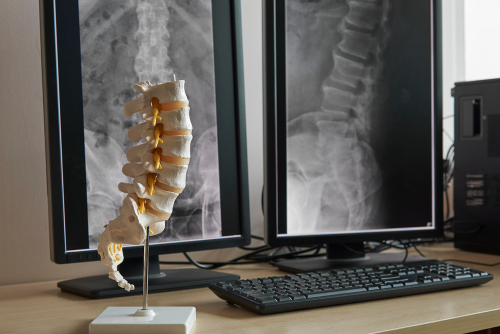 Decompression surgery is 80-90% successful in relieving symptoms, though it does not address the underlying cause of the vertebral degeneration that led to the symptoms initially. If you’re ready to address your nagging back pain, the back and neck specialists at Orthopaedic Associates of St. Augustine are here to help. Request an appointment online or call at (904) 825-0540 to make an appointment. Board Certified by the American Board of Orthopaedic Surgery. Dr. Haycook has specific expertise in the latest treatment of spine related injuries.